I love reading. I don’t read as much as I used to but I still love it. Quite often I have people ask me to recommend books to them so I thought I’d put together some reading lists. 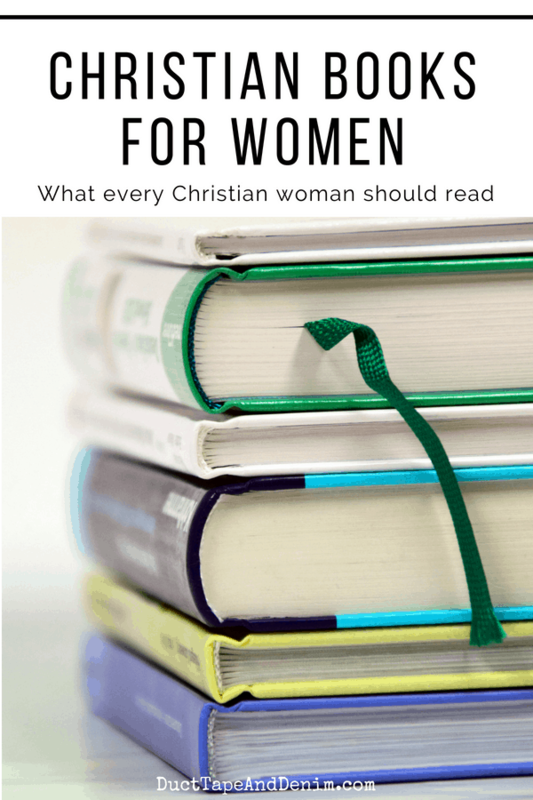 Today I’m sharing my favorite Christian books for women. To be completely transparent, I haven’t read ALL these books…yet. But if I haven’t read them, they were recommended to me by someone I highly respect. I would love to hear from you if you disagree with any of these or if you have more to add. Leave me a comment! I can share my reading list for this year with you later if anyone’s interested. I’ll be adding reviews of the books I’ve read soon and others as I read them. Again… sign up for the Christian Living email list and I’ll send them to you. Christian Heroes: Then & Now – children’s books. Great for reading with your kids… or a quick read (or listen) for yourself. My Scripture Memory Box – An easy way to review your memory verses. Young Wife’s Guide 2018 Reading Challenge – Jami breaks her reading list into similar categories and has 13 and 26 book plans. Tim Challies’ 2018 Reading Challenge – Each year Tim Challies hosts a reading challenge. This is much more organized and open ended than mine. You can choose to read between 13 and 104 books this year!!! Thanks for reading my list of Christian books for women. Don’t forget to leave a comment and let me know your favorite books! I would love to save this list on my ‘books to read’ Pinterest board. Can you add a graphic or photograph that we can pin? Jenny, I added the Pinterest graphic right after the first paragraph. Sorry, it was hidden way down at the end of the post. Thanks for sharing and I hope this reading list will help you. Let me know if you read any of them. Thanks!! Thanks! Not sure how I missed that? I’ve read quite a few of the biographies already.